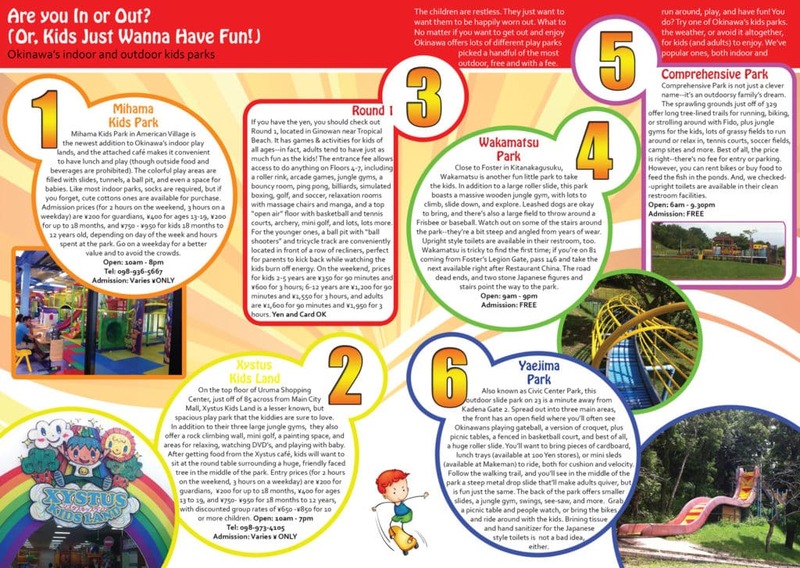 If you’re finding yourself with some time on your hands in Okinawa having done all the tourist attractions, why not spend some time exercising your brain with some adult education. Just because you’re in Okinawa it doesn’t mean your options are limited. We’ve rounded up the main state side universities that offer courses in Okinawa as well as some specialized IT training options and choices for distance learning that you can study no matter where you are in the world. No more excuses! Start learning today! With University of Maryland University College Asia (UMUC), earning a degree from a respected, accredited state university is accessible – any time, any place. No matter where you are stationed on island, on-site and online classes are at your fingertips. 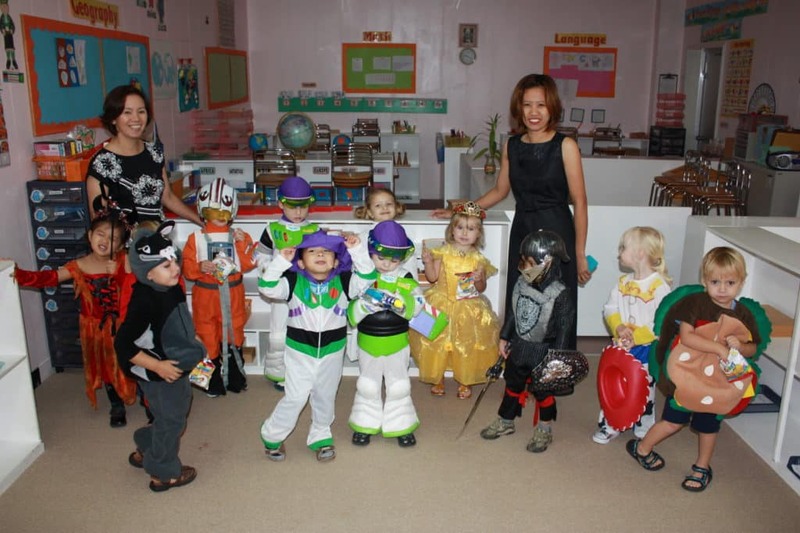 As a 4-year higher educational institution, they offer the most classes available to you on-site Okinawa-wide, allowing you a more traditional college experience. UMUC has repeatedly been recognized for innovative educational programs and military-friendly structure. They have a wide variety of academic programs to help reach your career goals. Office are available across the island, for site location information, visit www.asia.umuc.edu/sites. Active duty service members and their families do not have to put their education goals on hold even if stationed overseas. 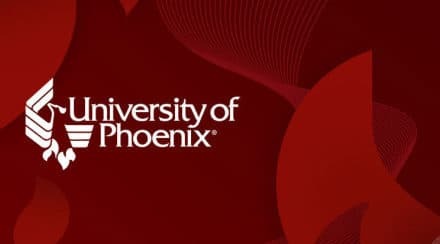 University of Phoenix provides an access to education to active duty service members, their spouses and veterans to help them balance frequent deployments, relocations and training schedules while fulfilling their military responsibilities. 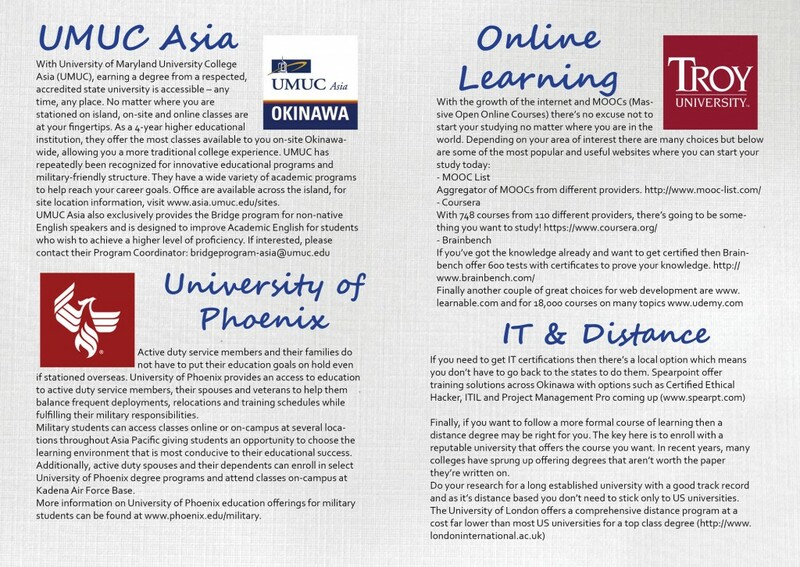 Military students can access classes online or on-campus at several locations throughout Asia Pacific giving students an opportunity to choose the learning environment that is most conducive to their educational success. Additionally, active duty spouses and their dependents can enroll in select University of Phoenix degree programs and attend classes on-campus at Kadena Air Force Base. More information on University of Phoenix education offerings for military students can be found at www.phoenix.edu/military. Finally, if you want to follow a more formal course of learning then a distance degree may be right for you. The key here is to enroll with a reputable university that offers the course you want. In recent years, many colleges have sprung up offering degrees that aren’t worth the paper they’re written on.